Why do you stray? Step this way, come here, you who are to perish, that you may receive the reward worthy of Camilla. Shall also you die by the shafts of Diana? Servius was struck by a deep personal note, an “immense bitterness” (ingenti amaritudine), in the last sentence, and claims that Opis “grudges” (invidet) Arruns the honourable manner of his death. Servius supposes that the reference of etiam, “also”, is to the many children of Niobe, who famously perished by the hands of Apollo and Artemis. However, Opis may have had personal causes to reflect in this manner. Who is Opis? As Herodotus recounts, in very ancient times, a group of young women arrived from the land of the Hyperboreans to the island of Delos. 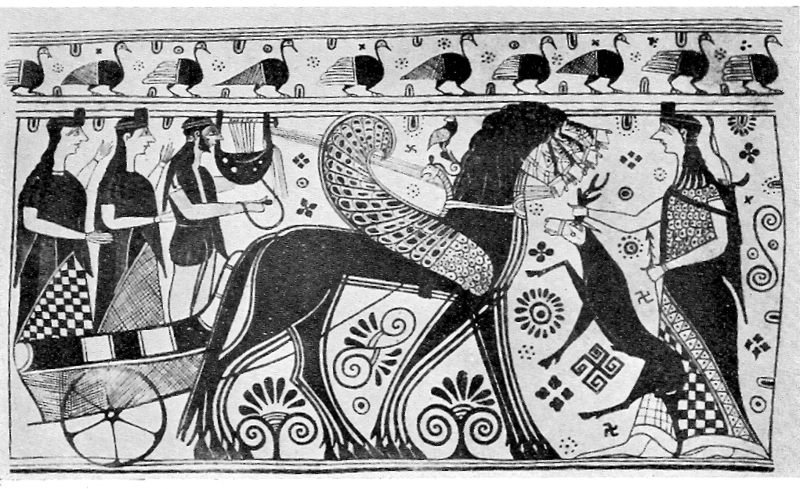 According to esoteric mythological accounts, which Herodotus may have known but if so chooses not to express plainly, they came to assist at the birth of Apollo and Artemis, and to nurse the gods in their infancy. Callimachus, however, probably considering such stories to be not only tasteless but sacrilegous (the gods being eternal), instead claims that they were the instigators of the Hyperborean tradition of bringing offerings to the temple of Apollo on Delos. Herodotus claims that there were two of them, Opis and Arge, but Callimachus holds that they were three, giving their names as Opis, Hecaërge, and Loxo. Opis, Arge (Hecaërge), Apollo and Artemis? ὁ δ’ Ὠρίων, ὡς μὲν ἔνιοι λέγουσιν, ἀνῃρέθη δισκεύειν Ἄρτεμιν προκαλούμενος, ὡς δέ τινες, βιαζόμενος Ὦπιν μίαν τῶν ἐξ Ὑπερβορέων παραγενομένων παρθένων ὑπ’ Ἀρτέμιδος ἐτοξεύθη. 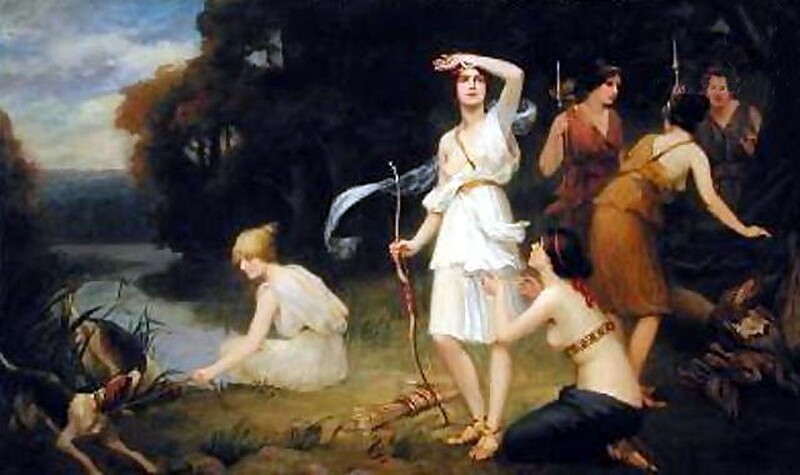 Alluding to the legend in the version of Callimachus and Euphorion, Opis’s address to Arruns would include an implicit comparison to Orion, the Great Hunter, in her experience the first victim of the arrow of Diana, and intimately connected with her own personal fate – which was not to be ravaged and bear the child of Orion, but to preserve maidenhood eternally in the service of the goddess. “Famous Hyperboreans”. Nordlit, 33 (= P. P. Aspaas et al., eds., Rara avis in Ultima Thule: Libellus festivus Sunnivae des Bouvrie dedicatus), 2014, pp. 211–23. Serv.Dan. Aen. 11.532, 11.858; cf. Phanodic. FGrH 397 fr. 5. Call. Aet. fr. 186.26–30 Pfeiffer (POxy. 19.2214); [Apollod.] 1.27; Euph. fr. 103 Powell ap. Σ Od. 5.121.